You are a lone wolf. You are a rebel in “athleisure” wear. Someone who prefers to go it alone, no one questioning your convictions. You are the John Wayne of your cul-de-sac. Or maybe, you just hope to make more money. Either way, you are considering selling your own home — without a real estate agent — and you want to better understand the pros and cons of going solo. We’ve got you covered, you maverick in sensible loafers. Pronounced “fizz-bo,” like the creepy clown that haunted your dreams as a child, FSBO is short for For Sale By Owner, the process of selling your home sans real estate agent. It’s either a growing trend or a declining fad, depending on who you ask. Either way, with online tools galore, FSBO is an option for those who want to take charge of the selling process and who don’t want to pay an agent commission. It seems simple enough, right? A trip to Home Depot gives you the essentials: a For Sale sign, a few cans of paint and some industrial-grade cleaner. Snap a few photos and brainstorm adjectives to describe your beautiful, breathtaking, charming home (there’s a few to get you started). Next stop is Craigslist… yadda, yadda, yadda… You’ve sold your home! Slow your roll, hotshot. FSBO is not that easy. Before you make “coffee is for closers” your new mantra, consider the benefits and risks of selling your own home. We created this handy chart to help you organize all the costs (literal and metaphorical) and benefits of selling your home FSBO. These pros and cons can be classified into five considerations: money, time, expertise and emotions. See below as we further discuss each of these considerations. Hungry for More FSBO Details? We’re friends, right? As friends, we can be honest with each other. If you are considering selling your home FSBO, it’s likely because of money. You want more of it. You don’t like the idea of handing over 5 or 6 percent of your closing price — the average agent commission — to a Realtor. You don’t see the value in it, and you don’t understand why they deserve that much money. So when you decide whether or not to sell your home FSBO, it may come down to this: Does hiring an agent add value and, therefore, justify the commission check? First off, understand that an agent often doesn’t pocket the whole commission. According to the National Association of Realtors’ 2015 Member Profile, 69 percent of agents divided their commission between two agents representing the buyer and seller. You should also know that real estate agents use their commission to market your property, to have professional photos taken and to get your property on the MLS, or multiple listings service, which gets it noticed by buyers’ agents. The commission also pays for a skill set that could potentially get you more money. As an example, if you don’t know the value of your home within your marketplace (your assessed value is not cutting it), you have the potential to list it too high, detracting potential buyers and allowing your home to sit on the market too long. When a home is on the market too long, buyers start to think something is wrong with it. Ghosts probably. You also may list your house too low, and you’ll leave money on the table. 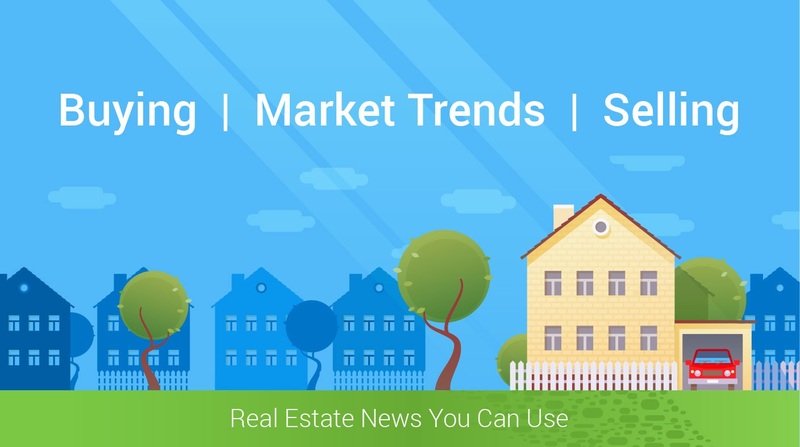 Real estate agents have access to market data, showing recent sales and comparables that allow them to price your home competitively. Agents maintain that the old adage “you get what you pay for” rings true when it comes to real estate. They have negotiating know-how, mastery of the marketplace, access to qualified buyers and target marketing efforts that can help you get more money. There is research to back up their assertions. According to the National Association of Realtors, the median price of For Sale By Owner homes was $210,000 in 2014. When the FSBO seller knew the buyer, which happens in about half of FSBO sales, the median home price was only $151,900. The median price of homes sold by agents? According to NAR, it’s $249,000. Similarly, researchers at Northwestern University found that sellers in Madison, Wisconsin, who utilized an FSBO website received at least as much as those who used the MLS or hired an agent. That was in 2009. So the data conflicts. Both NAR and FSBO supporters point out that DIY sellers tend to be older, make less money and their homes are worth less; that could account for some of NAR’s findings. Before you start making plans for the extra cash in your pocket, realize that even when you sell your own home, you’ll still have to fork out some money if you want to get your house sold. You have to pay to promote your property, to get your home appraised and to have support with legal documentation and contracts. Bottom line: Hiring a real estate agent may or may not pay for itself. However, also consider that when you have an agent sell your house, time does play a key factor. And you know what they say: Time is money. Selling your home is among the most stressful life events we experience. Selling your home FSBO is one way to make that life event even more stressful. That list of responsibilities may come as a shock to you. In fact, 48 percent of people who sell their homes FSBO believe they won’t need to get down and dirty in the process. However, all this talk of hard work and effort should not necessarily make you jump the FSBO ship. Just be realistic about what you are getting into: It’s likely going to occupy dozens of hours of your time. You should also be realistic not just about how many hours will be absorbed by this massive DIY project but also about how much time it will take to get your house sold. That’s one thing that studies seem to agree on: It takes longer to sell your home FSBO. Both the Northwestern and the Stanford studies mentioned in the Money section confirm just that: “The use of a broker does lead to an accelerated sale. In that respect, brokers appear to add value,” the Stanford researchers declared. The Northwestern study found that it takes on average 20 days longer to sell a house on an FSBO site versus the MLS or an agent. Infamously, the owner of ForSaleByOwner.com had to hire an agent — and pay them the standard 6 percent — after he tried and failed to sell his own condo. His home reportedly sat on the market for six months before he turned to a professional. Bottom line: FSBO will take up a lot of your time and will likely mean your house sits on the market longer than if you just hired an agent. Seller beware: If you are in a rush, FSBO is not the way to go. Selling your own home is akin to defending yourself in court: You can do it, but you may suffer serious consequences. Luckily for you, your FSBO mistakes won’t get you life without parole. You may not want to admit it — because you were taught that you can do anything you set your mind to — but good real estate agents have extensive education, experience and institutional knowledge that make them an asset. The sheer amount of paperwork, disclosures and legal documentation can be daunting. In fact, 18 percent of FSBO sellers polled said that “insufficient knowledge of the paperwork” was the most difficult part of selling their home without an agent. Plus, ever-changing regulations create an added challenge. Did you know that in Washington, the seller must pay the buyer’s agent? Did you know that in some states there are limits on the kind of repairs a buyer can request from a seller? Do you know your state’s rules regarding residential property disclosure? Do you know the difference between being pre-approved and pre-qualified? Realtor expertise can range from legal rules that govern real estate transfers, to a knowledge of the marketplace, to making sure you hide the valuables during your open house. They should be able to evaluate the strength of offers, strategize about counteroffers and know when to arrange a backup offer. They know how to stage your home and what colors to paint it. They know that all your fixtures should match and your lighting should be updated. They are there to do whatever it takes to close the deal. They’ve done it hundreds of times, and they know how to handle surprises. If you are still looking to sell your house FSBO, do your research and get help. Find resources to help you (see below). Get a competitive market analysis quote for your home. Work with a real estate attorney to ensure your best interests are being met. Require pre-approved mortgage letters with written offers from potential buyers. And remember, you do have a special expertise that no Realtor will ever have. You know your home’s greatest strengths. You know that your garden gets the perfect amount of sunlight in the summer and that your bedroom stays toasty warm in the winter. No real estate agent will know what you know. Bottom line: While you are your home’s greatest champion, seriously consider if you are ready for the amount of research and education it will take for you to go it alone. And realize that you will not have the experience and knowledge of a seasoned agent. Not so long ago, one of your particularly hilarious tweets went viral and earned you 10,000 new followers. Now you can use that audience to sell your house for big bucks, right? Um, probably not. Your social media network is not targeted, and using it to sell your home is akin to having a digital yard sign. You may find a buyer, or you may just annoy friends who’d rather argue about politics. Strategic and targeted promotion is how a seller’s agent earns his or her keep. A vast majority of buyers utilize an agent — nearly 90 percent — to buy a home. So the goal is to get the attention of buyers agents, usually through the MLS. But luckily for FSBO sellers, they can pay an agent or site to put their house on the MLS. In fact, there are tons of resources for FSBO sellers. ForSaleByOwner.com, HomesByOwner.com and other sites offer tips and tools. You can hire a real estate attorney to manage the contracts and documents. You can pay an agent a flat fee to give you a competitive market analysis quote for your home. Also, if you are selling your house FSBO, it’s wise to offer buyers’ agents a commission. Otherwise, they will steer their clients away from your listing. Many buyers’ agents have had difficult experiences with FSBOs; it’s a challenge to negotiate with people who are emotionally connected to a home and who often price their homes too high. Bottom line: There are plenty of resources out there for FSBO sellers. Utilize them. However, your greatest resource may just be hiring a real estate agent. If you love something, set it free. That’s how it feels selling your home. It’s a memory box of past Christmas parties, first words, movie nights and Sunday mornings. You love this home, but it’s time to move on. And those memories don’t just disappear when you stab the For Sale sign into your front yard. You are highly connected and highly emotionally invested in this house and, thusly, in the sale of this house. Yes, selling a home is an emotional process — with or without a Realtor. However, an agent can help ensure your emotions don’t hurt the transaction. While the pink paint on the walls of your daughter’s room may make you feel all warm and fuzzy inside, your agent will likely tell you that the pink has to go. That’s because potential buyers may not be able to picture themselves in a home with fuchsia walls. This emotional connection may also hinder you from setting a price that is objectively competitive. FSBO prices are often inflated with memories and emotions and happy thoughts. Bottom line: Because of your emotional connection to your home, hiring a salesperson — gasp!— to sell your home may feel icky. You may feel like your agent is in it just for the money and not for you. However, an agent’s job often entails playing therapist, softening the blows that a seller can take throughout the process. That can mean telling you nicely and diplomatically that your kitchen is an outdated hodgepodge. There are some perks of selling your house FSBO. You may pocket a little extra cash, you may get to retain more control, you may get to feel the adrenaline rush of going rogue. But chances are you’re in over your head. Don’t underestimate the knowledge of a top real estate agent and the difficulty of selling a home.